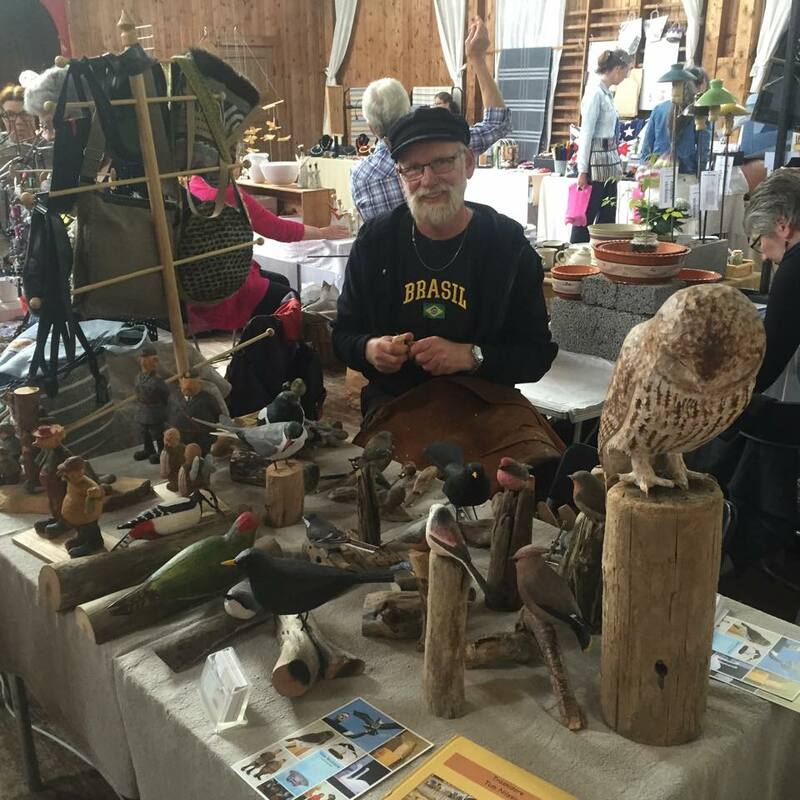 Islander and wood carver Tom Nilsson, "The Birdman" called by his foreign colleagues and friends, is a sought-after guest at exhibitions and conferences worldwide. 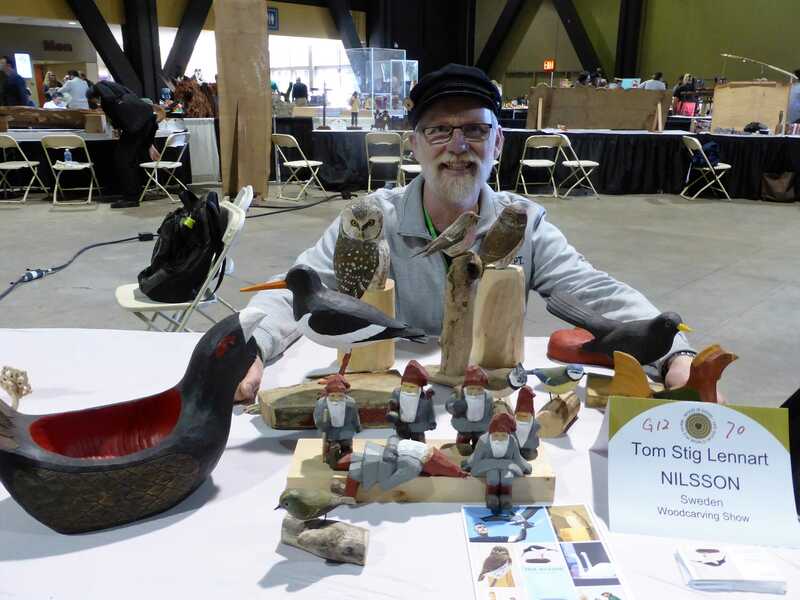 Tom has birds as his specialty, hence the name, but he also carves figures and gnomes. International Wood Culture Society (IWCS) has previously invited Tom to participate in both China and Turkey. He has also managed a trip to Switzerland where he "carved" larger birds with help of a chainsaw. Tom grew up in Uddevalla, Sweden, and after school he worked as a postman and in a shipbuilding yard before he jumped on a furniture nods education. After that it became boat interiors of Windö-yard on Orust for two years. After a while he got a job in the construction industry and made contact with Skaftö Carpenter Lasse Säfström, Östersidan, Fiskebäckskil. 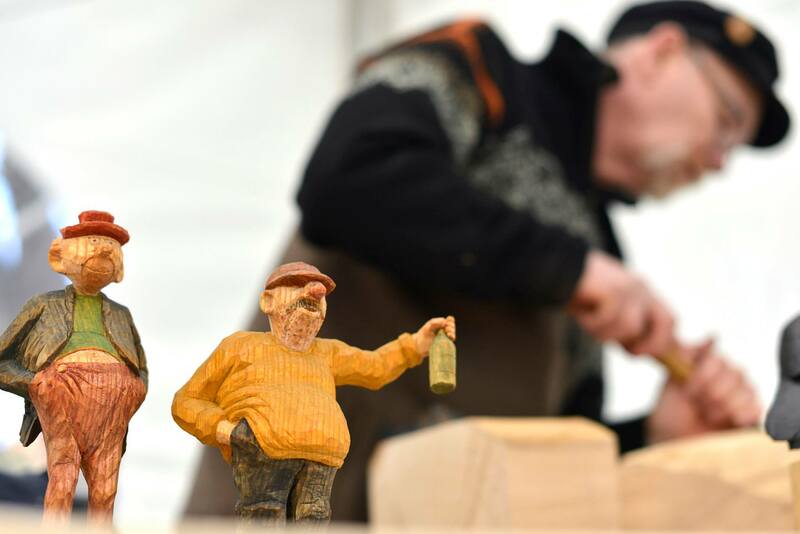 One of Skaftös finest craftsmen and a known Skaftö Profile himself, that among other things is known for his fine boat building. 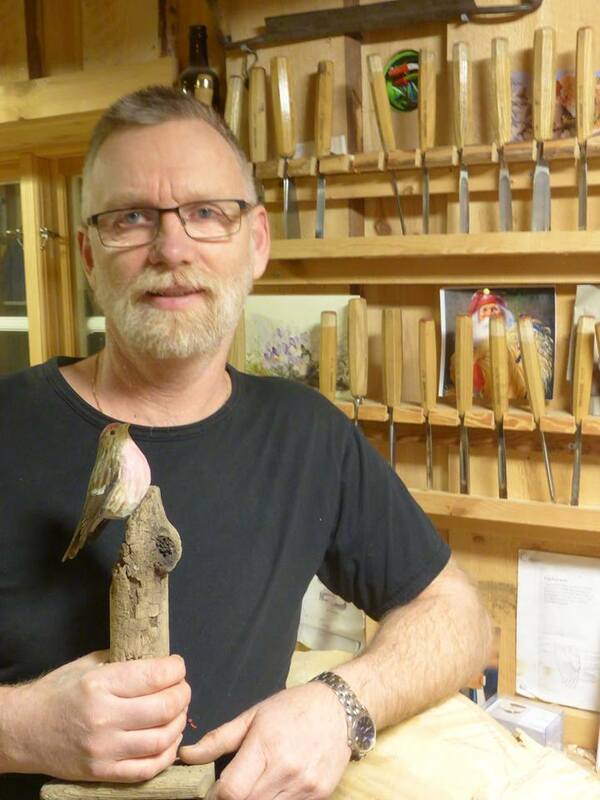 Tom became an apprentice with Lasse and got to work with the houses on Skaftö with all his carpentry. Tom fell for this job and for Skaftö as he likes old houses. His friendship with Lasse persists even today and they often lunch together at the research station Sven Loven Centre's restaurant at Kristineberg. A couple of years ago he took over Ögården on Skaftö, which he has since carefully restored and rebuilt. Ögården previously belonged to the family Ödman and this was their "Captain's House". 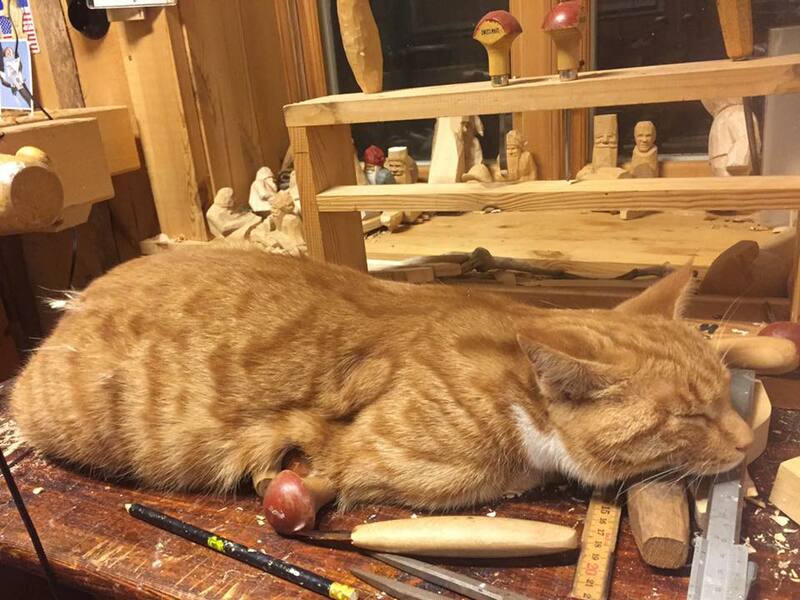 At the takeover he receive care of the cat Felicia, who can be seen on the film and often made Tom companion when he carved in the workshop. On Ögården he lives with his family, his bantams and Swedish native breed sheep that thrive and multiply rapidly. Toms birds are exhibited in many of Swedens National Parks Visitor Centres such as Fulufjället, Gysinge and Kosterhavet. Tom is also represented in the Swedish exhibition "Birch". He is currently working with a big future visitor center on the island of Öland. There Tom will not only exhibit his birds but will also produce enlarged insects x 50 in size that will be about 1.5 m high. Usually he works with larches, but here they will be outdoors and because of that Tom will carve them in oak. Toms birds and figures are available for purchase through Hemslöjden in Stocholm as well as in Mora and the Bohuslän Museum in Uddevalla.